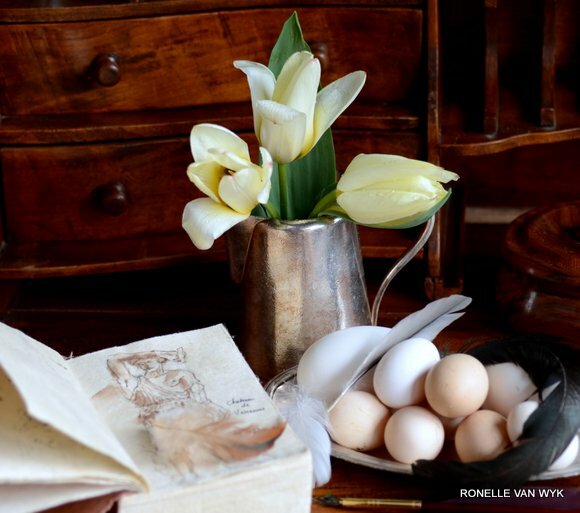 “Un oeuf cocotte” for Easter. Easter is coming up pretty fast and everybody is munching on Easter chocolate. So are we. But one can’t live on chocolate alone. An egg every now and then will help. An “oeuf cocotte”. It is easy to make with many variations to suit each taste an ddesire. Butter 4 ramekins(with volume of 125 ml or 1/2 cup) liberally with butter. Sprinkle with salt and pepper and place some shredded spinach on the bottom. Spoon 1 heaped TBS of créme fraîche onto the spinach and spread it evenly over the spinach. 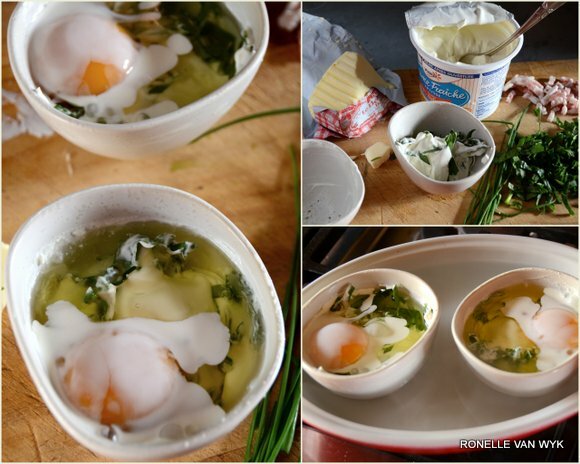 Break open 1 egg into a little bowl and and slide onto the créme fraîche in each ramekin without breaking the egg yolk. Drizzle a little cream over the egg yolk to protect it during cooking. Place in a deep ovenproof dish, fill with boiling water up to half the height of the ramekins and bake at 200°C for 9 minutes for a runny yolk. The egg white should just be coagulated and don’t worry if there is still a little transparent egg white left…while standing the eggs will still continue cooking a bit. Remove from the oven and sprinkle with salt and pepper, some fried bacon pieces and chopped chives. 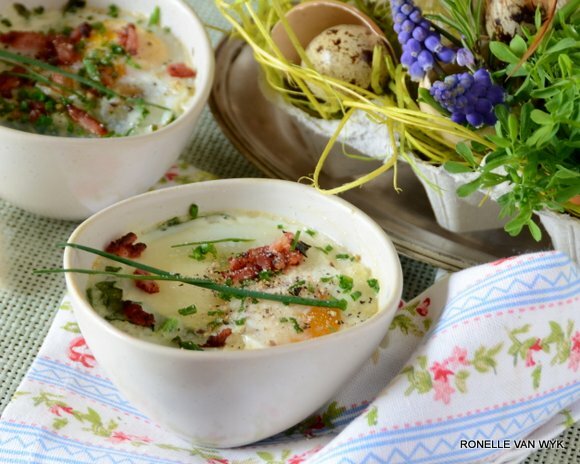 Serve immediately with toasted bread fingers to dip into the eggs. Use any nice containers for the eggs as long as they are ovenproof. Glass looks especially nice with the layers of egg and cream showing through the sides. 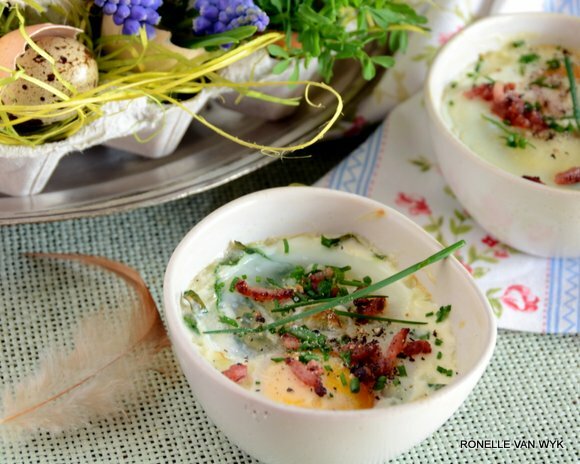 Place bacon pieces or asparagus tips, frozen creamed spinach, mushrooms, strips of ham… and place at the bottom before filled with créme fraîche. the list is endless. Use small brioche buns instead of ramekins and steady them in muffin pans, fill with eggs and bake…especially popular with children. Infuse cream with saffron, or other spices/herbs of your choice, bring cream to a boil and simmer a few minutes to reduce and use instead of créme fraîche. I am not one for a lot of Easter decoration. 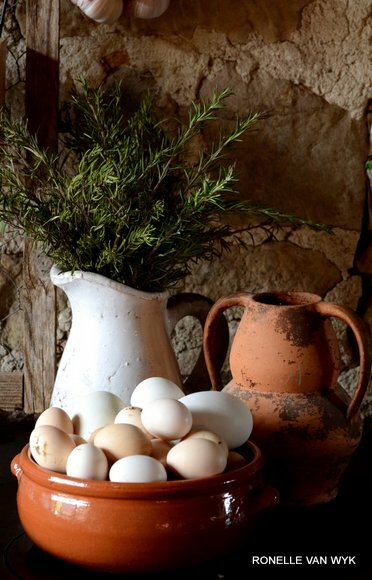 But I love having spring flowers in my house and the chickns provide me with a moutain of eggs, which I use simply in bowls to add an Easter flavor. 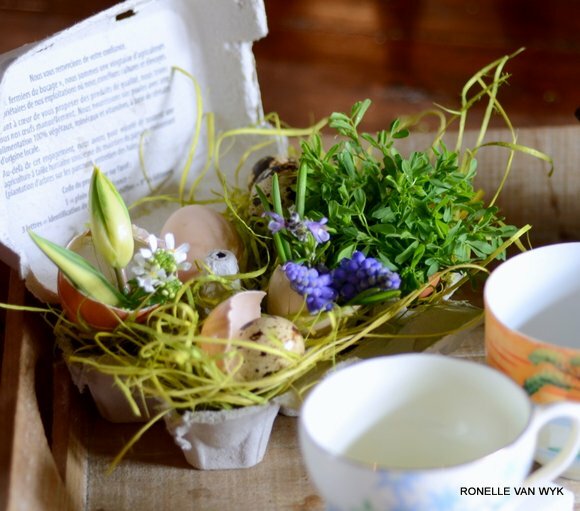 ..Eggs from the poulaillier, rosemary and terracotta in which the eggs end up when stolen from the poullaillier…a winning combination for me..
..For a little playfulness – an empty egg carton filled with shredded wooden strips colour green, the egg shells used for the recipe filled with water and holding spring flowers and herbs, some eggs and tiny quail eggs..
..tulips in hotelsilver, my ink drawing book, a feather pen, feathers from the poullaillier and …some eggs!.. 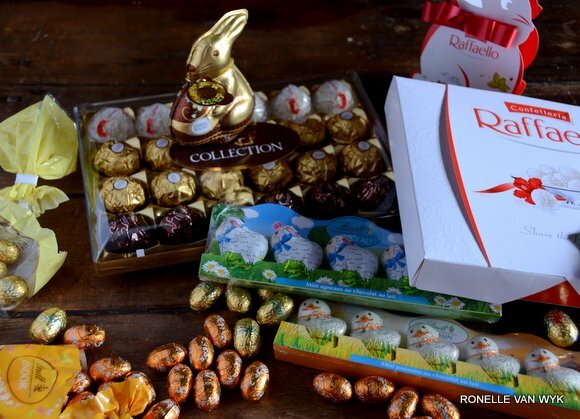 ..last, but not least..Lindt Easter chocolates, Raffaello and Ferrerro Rocher..